Do you have a blocked toilet drain, blocked sewer drain or a blocked sink drain? It makes no difference to us. Our blocked drains team at Metropolitan Plumbing have the expertise, experience and the equipment to take on any blocked drain repair, no matter how small or large. Each van in our fleet is fitted with everything we could possibly need including electric drain cleaners and CCTV camera systems – and in the case of a sever drain blockage we will attend with a high powered hydro-jet. Every plumber from Metropolitan Plumbing has undergone extensive training to accurately assess and fix every blocked drain repair or replacement. So, whether you’ve got a blocked stormwater drain, a blocked bath drain or a blocked shower drain, Metropolitan Plumbing is your first port of call. With 24/7 service. We can have a fully qualified, licensed plumber to your home or business on the same day that you make your booking or Within an hour* in a plumbing emergency. Covering all metropolitan areas of Adelaide, Melbourne, Perth, Sydney and Brisbane. All you need to do is call us today on 1300 367 333, or simply fill out our online booking form. What does the term ‘blocked drains’ actually mean? but, it really depends on where the pipe is and what it’s trying to drain.At Metropolitan Plumbing, we’ve see every kind of drain blockage you could possibly imagine, from small hairballs in shower drains right up to large sludge blockages in sewer drains. We pride ourselves, though, on having the expertise, the experience and the equipment to clear any and all types of drain blockages. We have the latest and greatest machinery on the market, and have a large range of spare parts for most problems, so there’s nothing we’re not ready for. Below is a detailed list of some of the reasons your drain might not be flowing properly. A blocked toilet drain can be a nightmare! Either your toilet water won’t flush, or the toilet water begins to rise to eventually overflow from the toilet bowl. This type of blocked drain is also one of the most common. It doesn’t matter what’s causing your blocked toilet drain, Metropolitan Plumbing will be able to send the right blocked drains expert with the right solution for your specific situation. Every one of our fully qualified, licensed plumbing experts has been trained using various clearing methods and technologies, so we really are ready for any problem. then you should contact the blocked drains experts from Metropolitan Plumbing. The kitchen sink is a very common spot to find a blocked drain, as a variety of food and other matter gets washed down our sinks that really shouldn’t. Gradual amassing of oil and grease, soap and hand wash deposits, food scraps and other debris are the usual culprits for this type of blockage. Usually hair, material from clothes, and sediment from soap and other cleaning liquids are the main causes of a blocked laundry drain, such as a blocked trough drain or a blocked washing machine drain. This can be quite problematic as it can impact on washing your clothes and doing those other day to day tasks in the laundry. The drains inside your home or business aren’t the only drains that can become blocked. All those drains outside, such as sewer/ stormwater drains and also your gutters, can also be the victims of blockages. These collect dirt and garden waste, leaves and foliage, and other garden debris, all which will eventually create a blockage. This type of blocked drain can be particularly difficult to shift when the build-up becomes too expansive. Another major cause of blocked drains is from tree roots. If there is even the smallest pinhole or tiny crack in your underground pipes even the most miniscule hair-like tree root will find its way in. This root will continue to grow inside your pipes and entwine with the other dirt and debris being flushed through to soon grow to a large mass, blocking your drain and potentially damaging your pipework. At Metropolitan Plumbing we are your blocked drain experts and can pinpoint the location and cause of your drain blockage and have it cleaned and cleared with the use of our electric eels, CCTV camera technology or high powered hydro-jets. If your pipework has been damaged, or has collapsed our skilled plumbers will be able to repair or replace your pipes to have your drainage system working as normal once again. A blocked urinal drain is a common occurrence especially in locations that offer a public gentlemen’s restroom, such as a restaurant, or a public toilet block. If you find that your establishment or council toilet block is suffering from a blocked urinal drain then the experts from Metropolitan Plumbing have the knowhow, tools and skills to be able to rectify your blocked urinal drains in the quickest time possible. Upon first sign of any of these blocked drains, you should call in an expert immediately. Bacteria festers in the pipes and could cause a potential health concern if left for too long. Our plumbers from metropolitan plumbing will have your blocked drain cleared before the situation gets too serious. If you find yourself with a blocked drain, you’ll need somebody with the proper equipment, skills and the knowledge to clear it quickly and competently. We have it all. Not only are all of our blocked drain plumbers fully qualified, licensed and highly trained, they also have electric drain cleaning machines, hydro-Jetter drain cleaning machines, CCTV drain camera and excavation tools – everything they need to tackle even the stickiest situation or most stubborn drain blockage to give you the very best results possible. 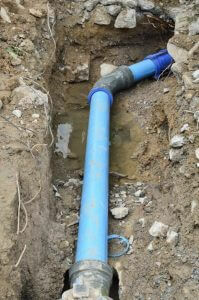 Some blocked drain plumbing companies may recommend temporary drain relining. We won’t. If you keep having the same blockage over and over again, there could be something more going on in your pipers than the problem that was first thought. In this instance, it’s essential to have the offending blocked drain inspected using a Closed Circuit Television (CCTV) sewer camera. The first blockage may just be a symptom of another further down the line. CCTV drain cameras are also a very good idea to pinpoint the exact location of a blockage and to determine what a blockage is being caused from. Which allows your blockage to be cleared in a prompt and reliable manner and to determine if any damage has been caused from the offending tree-root, or other matter, that may be blocking the pipe. If your pipework has been damaged a repair or pipe replacement will be in order to eliminate any re-offending blockages. Every blocked drain expert with Metropolitan Plumbing has undergone extensive training in using the latest in blocked drain cleaning technology, including the electric drain cleaning machine. With a cable mounted mechanical cutting head, the electric eel drain cleaner slices through and removes tree roots, toilet paper build-ups and other solid objects that may be causing your blocked drain. The electric eel machine can be used inside or outside, depending on what the situation is the solution it calls for. It is exceptionally good for blocked toilet drains, blocked shower drains and other such blocked indoor drains. Discharging pressurised water through a cable and nozzle attachment, the hydro-jet drain cleaning machine blasts through obstructions as it propels itself along the length of a drain, scouring it clean. Hydro-jetters can cover longer, harder to reach areas than the electric eel, and are particularly good at removing the fatty, greasy build-ups that the other machine can’t do much about. The hydro-jet works in much the same as a house-hold high pressure water hose but at a much higher rate of pumping water at around 5,000 PSI. It is particularly efficient for clearing those more stubborn drain blockages, such as a blocked storm water drain. Call the experts from Metropolitan Plumbing any time of the day or night, and if you have a stubborn or severely blocked drain our hydro-jet machines will have them cleared and cleaned with quality and satisfaction guaranteed. If your blocked drain problem is serious enough, there might be a need to excavate and replace any drains which are beyond the point of clearing. This is often the case with older, weaker drains, like sewer or stormwater drain. They can become cracked, broken or completely shattered. Every one of our blocked drain professionals has the skills and experience, as well as the access to machinery, to quote and undertake an excavation and replacement job for any blocked drain you might have. Who’s responsible for a blocked drain? When you find yourself with any type of blocked drain, no matter how serious it is, you’ll need to have it cleared by a blocked drains professional from Metropolitan Plumbing. A blocked drain, as long as it’s on private property, is the responsibility of the homeowner or the business owner. If you rent your home, however, it’s generally the responsibility of the landlord to organise and pay for the blocked drain clearing service. Contact us as soon as you discover the blocked drain, that way we’ll be able to get out to your property straight away to rectify your blocked drain issue before the problem has time to get worse. Or in the case of pooling water, before it can cause any structural damage to your home or office. The plumbers from Metropolitan Plumbing are available 24/7, and can be at your location within an hour* in a blocked drain emergency.